The nightstand. It must combine form and function, reflect your style, be your right hand man and house the nightly essentials. No pressure. The aforementioned essentials can vary from one home to another. 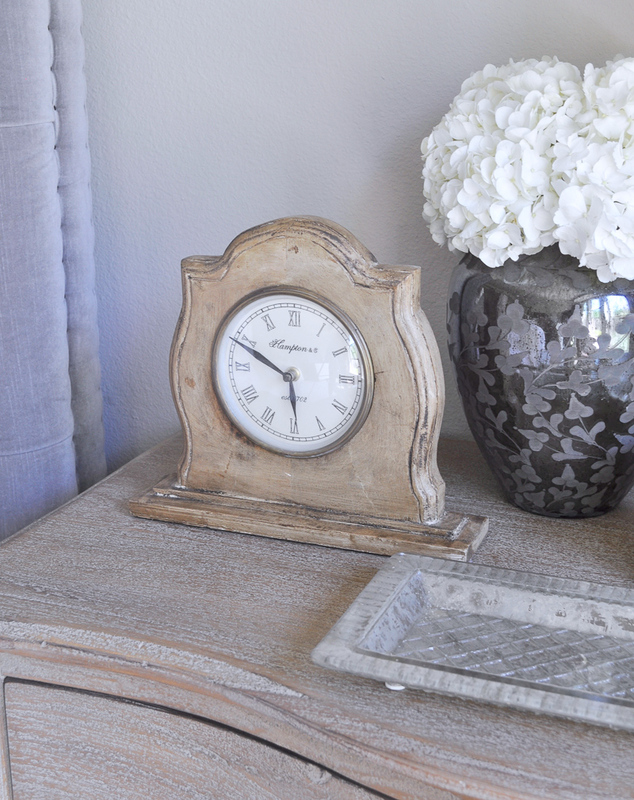 In our home, you will find the following items on our nightstands: lamps, a decorative tray, a vase to house fresh flowers, candles and finally a clock. Let’s elaborate on each of these for a moment as the importance of each should be noted. A Table Lamp – This is going to be the centerpiece of your nightstand. You may have noticed a theme lately throughout my posts and that would be proper scaling. Make sure the size of the lamp is appropriate for the nightstand it will call home. 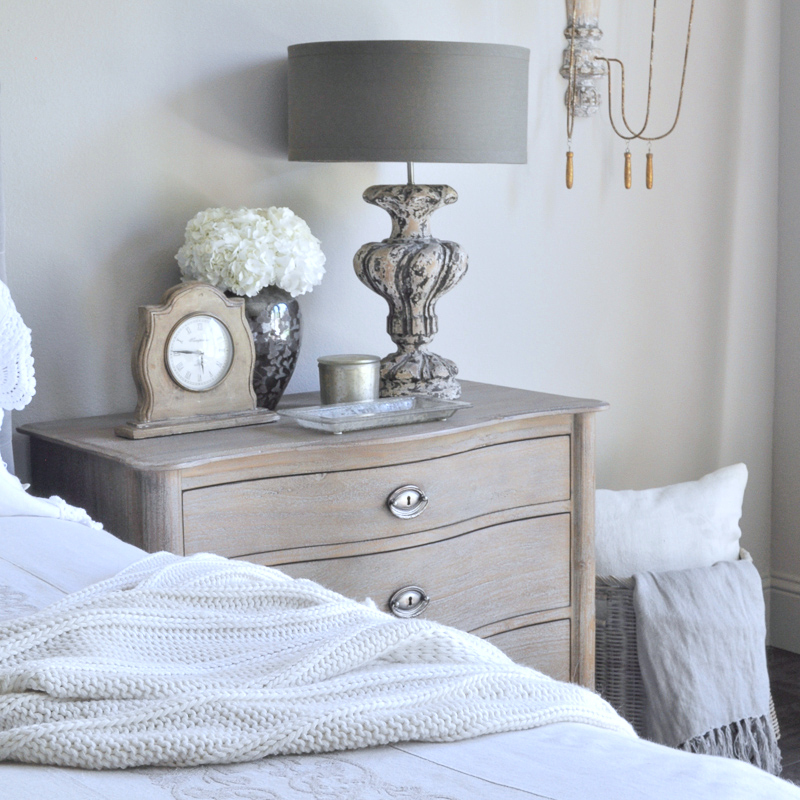 After your bed and linens, the table lamp is probably going to be the most notable item in your bedroom. Aside from the main function of providing light, it offers a bit of balance and ties the look together. 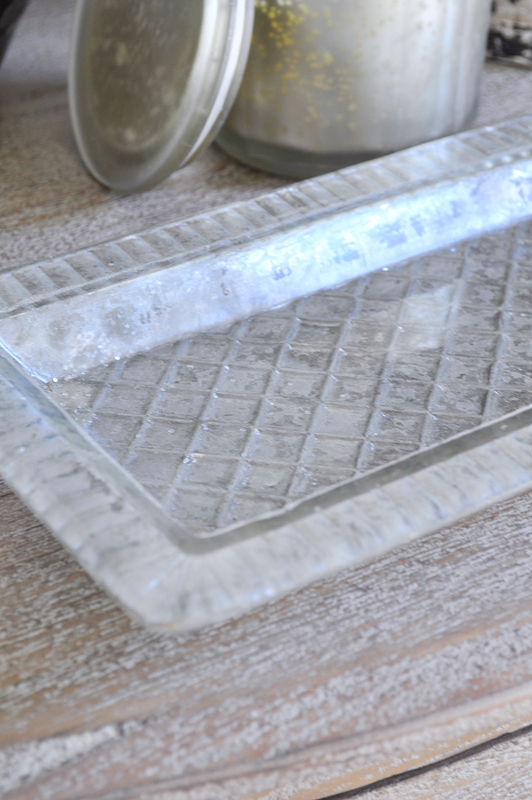 A Decorative Tray – On my side of the bed, and let’s give homage to that for a moment as we all have a side of the bed we call home (even in hotels), you will find a decorative tray. It is essential for housing everything from jewelry that I need to take off prior to sliding under the covers to a catch all for lip balm and glasses. It will help you maintain order and keep the nightstand looking tidy. A Vase – It is important to keep peace and serenity in the bedroom. Nothing does that better than freshly cut flowers housed in a perfectly selected vase for your nightstand. 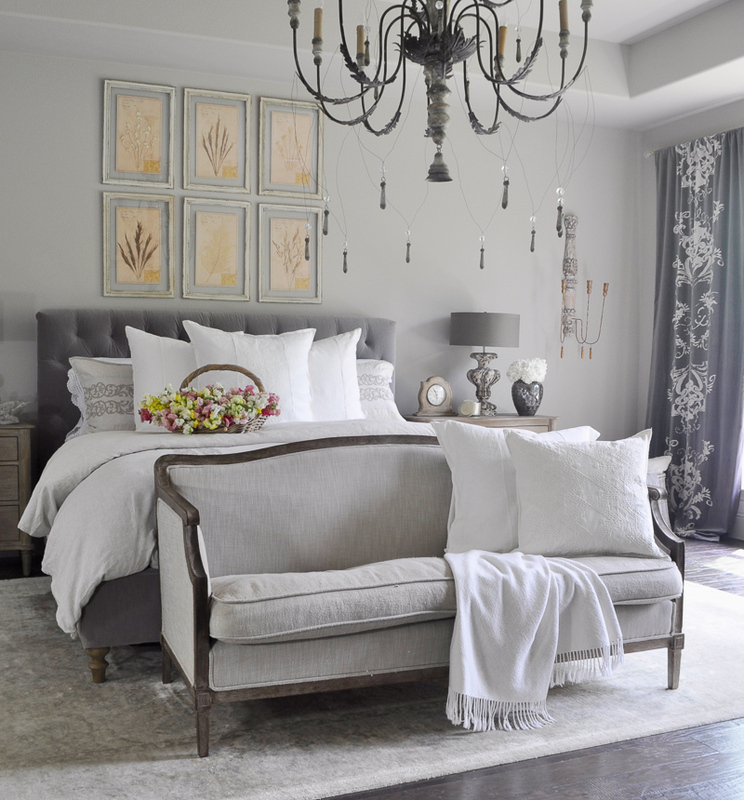 They soften the look of nearly every bedroom ensemble. Relaxing is important as we prepare to sleep so we can take on tomorrow’s challenges. 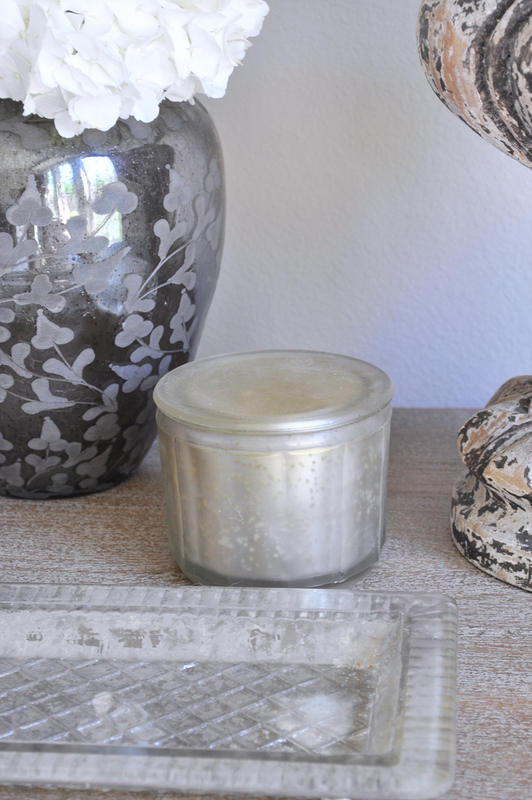 A Scented Candle – Romance should be a component that is not overlooked when decorating your nightstands. 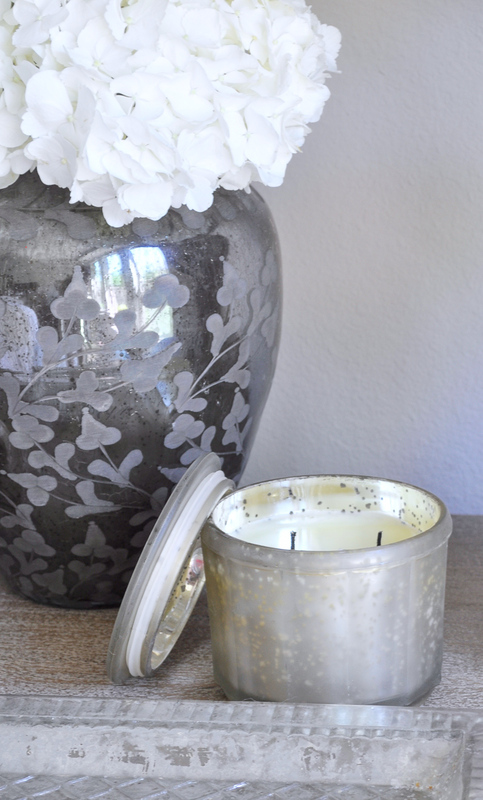 A lovely jasmine or vanilla scented candle is the perfect addition here. Try to find candles that work with your color scheme. 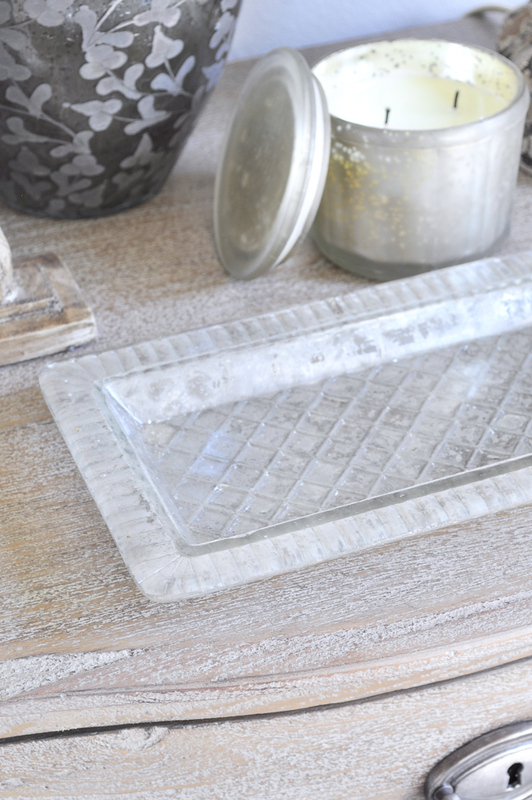 Many are available in their own decorative containers or you can keep them a bit more simple and utilize your own votive holders. A Clock – Some might feel they are becoming a bit of a relic. Typically you will find them digitized and I find that unfortunate. Nothing screams business and work more than a digital clock. This is your bedroom. A softer and more artistic look is required here. Thank you again for your continued support of Decorgolddesigns.com. Please consider subscribing so you won’t miss any future posts. Oh, and please tell a friend! Similar bed | Similar Chaise | Similar side table | Similar settee | Chandelier | Similar nightstand | Similar dresser | Similar botanical art | Rug | Wall sconce | Similar lamps | Euro sham | Pillow cases | Similar Pillow cases crocheted edge | Similar White throw | Euro on settee | Draperies are discontinued. Jen! Such a lovely post and so perfect of you to pay such detailed attention to something most overlook the importance of! Thank you for another well written, beautiful post packed full of great ideas and more gorgeous photos!!! Thank you so much and I feel the exact same…lucky to know you! Great post as always! You always leave me feeling inspired!!! Jennifer, What a beautiful, thoughtful post! Thank you for always being inspiring!! Such a lovely post! 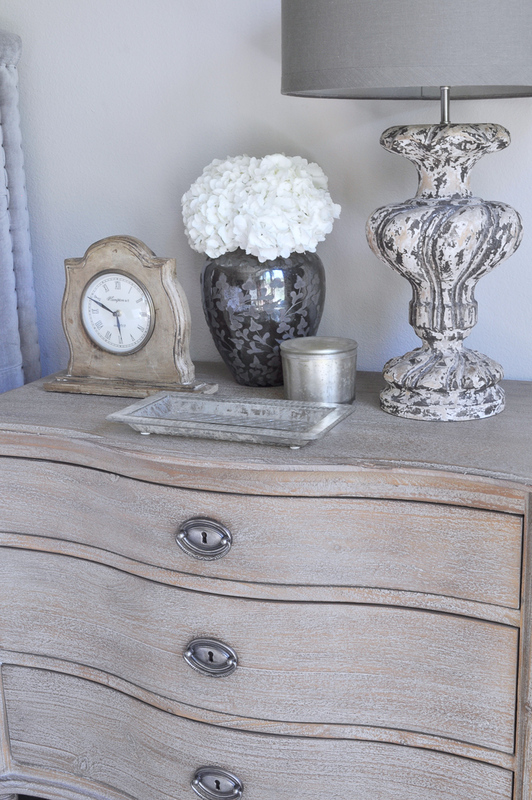 And such a gorgeous night stand! Your attention to detail is inspiring, I simply adore the lamp! Thank you for sharing! Oh Neelam, thank you so much!!! Have a wonderful day! Where can I find a night table like yours? I saw the links for lamps, candles, etc but not the night table! It’s gorgeous!! Hi Brenda! Thank you! It’s from Restoration Hardware. The details are listed on my sources page. You can find it here.